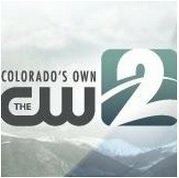 News TV Channel / KWGN-TV, virtual channel 2 (UHF digital channel 34), is a CW-affiliated television station licensed to Denver, Colorado, United States. The station is owned by the Tribune Broadcasting subsidiary of the Tribune Media Company, as part of a duopoly with Fox affiliate KDVR (channel 31). The two stations share studio facilities located on East Speer Boulevard in Denver's Speer neighborhood (to the immediate south of the studios of KMGH-TV (channel 7)); KWGN maintains transmitter facilities located atop Lookout Mountain, near Golden. The station's signal is relayed on three low-power translators: K14JZ-D in Peetz, K49EX-D in Anton and K31IQ-D in Sterling.